Square One Publishers, 9780757001963, 184pp. 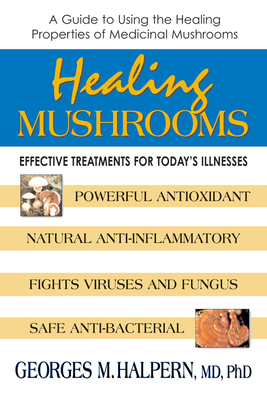 This easy-to-use guide begins by describing how ancient cultures utilized mushrooms to combat disease. It then explains how modern science has refocused its attention on the healing properties of mushrooms and, along the way, discovered wonderful new properties. Included are chapters that examine the folklore, health benefits, and culinary uses of mushrooms, including detailed instructions for buying, storing, and using eight major varieties of this marvelous medicinal.